Company Auditions May 17-18, 22 & Make Ups May 23! 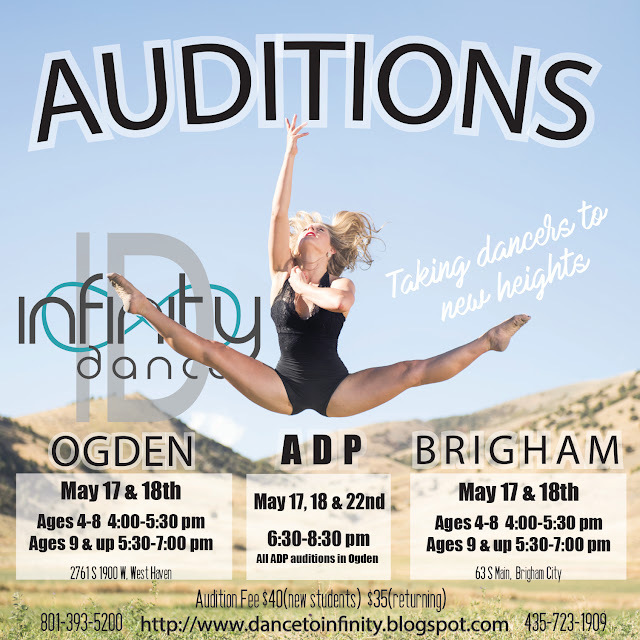 We are also offering make up auditions for all teams on May 23 at the Ogden Studio if you aren't able to attend May 17 or 18. Brigham Dancers with conflicts will also attend this make up session. 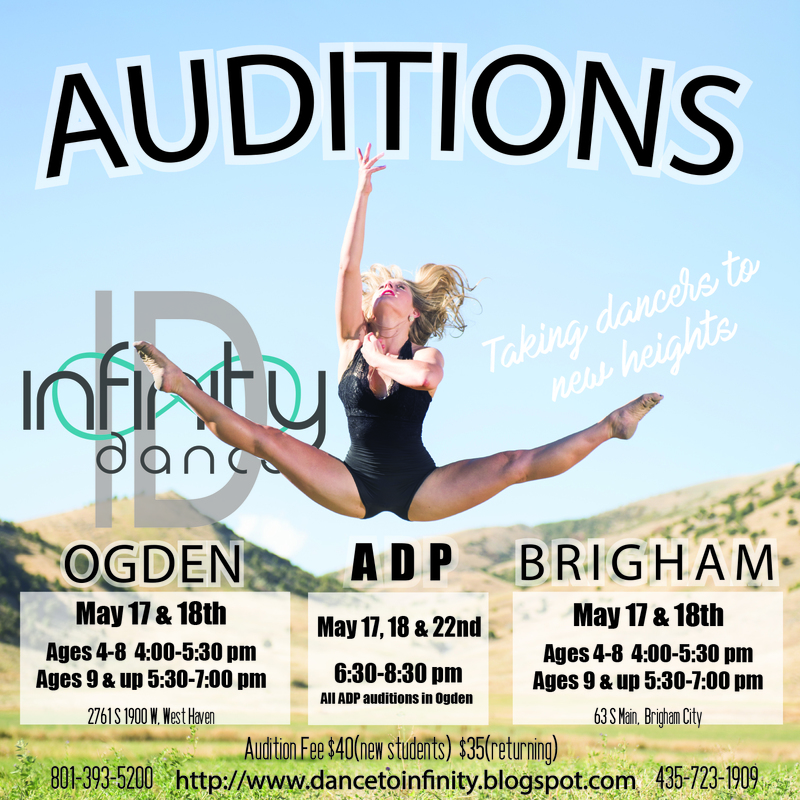 We know there are a number of dancers who have school activities on audition nights. Thanks! !